It’s never easy to visit Germany, not as an Israeli Jew, no matter how many years I’ve lived in the USA. The question is never far enough away to forget it: What did your parents do during the war? (or now it’s grandparents for some of those I meet). When I know that 90% of people supported Hitler, how can the question not be asked? 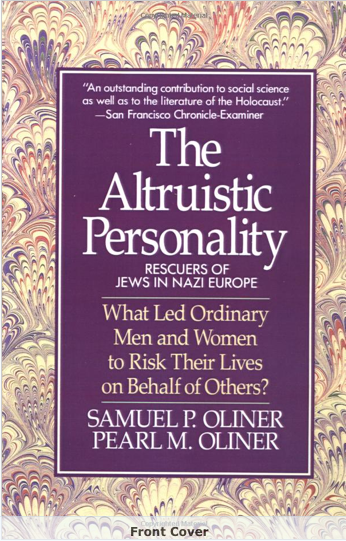 At a workshop on the power of requests, it takes me the entire day before I can bring myself to tell the usual story about the power of requests based on the Oliners’ study of rescuers of Jews (for more details, see Tests of Courage, Part 2). I am in Germany, and the discomfort is bigger than my capacity, for most of the day. At night, sitting with friends over dinner, I allude to my general sense that the Germans haven’t really dealt with the Holocaust, not in a deep, significant way. I am met with vociferous disagreement, which dissolves when I explain what I mean. Have the Germans truly looked into what led so many people to be willing to participate? When I was in Dachau a number of years ago, the most intense aspect of it was how emotionally blank the entire exhibit was. I didn’t see any engagement, any sense of horror, only facts and figures. I do not have a facile belief that the Holocaust could only have happened in Germany. I do not believe there is something unique and horrible about Germany. I do believe that a certain culture of obedience, of following and admiring rules and order, is a part of what happened. Have Germans changed the way they raise their children? In an earlier visit, I stayed at someone’s home for a few days. She told me, on the first day, that she had moved back in with her parents, and described in moving detail how she now enjoys a relationship without limits, where they talk with each other about everything. Two days later, when the Question was finally asked, I learned that her parents apparently sided with the Nazis, and suddenly she was in intense discomfort, and told me how they have never once talked in full about the topic. How come this discomfort, this anguish she expressed and about which she cried, didn’t get included when she talked about their relationship two days earlier? She expressed gratitude to me for opening the door for her to look at the issues. We agreed to stay in touch, and she didn’t. Months later she responded to an email and admitted it was tough for her to stay in touch. How could Germans completely heal from what happened to them without allowing such anguish to surface, without talking with all of us, the Jews and the others they harmed, without looking at their cultural habits, without looking directly and squarely at what hurts? Some days later, while attempting to describe someone’s energetic field (notoriously difficult to describe rather than evaluate), I realize, to my horror, that I am using words strikingly similar to those used by Etty Hillesum in her diary to describe a young Gestapo officer in a particularly striking scene, full of the most astonishing compassion and insight. My body shivers in horror. The woman in question, no older than 40, I presume, is wholly unaware of my reaction. I realize I have been avoiding her for days, and am troubled. Is this my commitment to nonviolence? If Etty could find love and compassion for a true Gestapo officer, what would prevent me from having it for someone who isn’t, just because she reminds me of one? I ask a couple of colleagues to do a role play with me, and I choose to enter into her proverbial shoes, see what life might feel like from within there. As we speak, as I say and feel the lines I had heard from her that were so distressing to me previously, I finally hit it, and tenderness emerges. Whether or not the image I got is actually true of her in real life is of secondary importance. Inside myself, it sufficed to make everything different. While being her, I connected with having a thick 300-page rule book I must consult before responding to anything that happens, and I must do it fast, because efficiency is very important in and of itself. I could feel the tightness, the real unhappiness of living with such a rule-book inside. For a few moments, I was her. For the rest of our time together, the power of the pull to distance myself recedes, and we are human, again, together. This is my third time visiting Poland, to which I come back with pleasure. I now have people who know me, who come again to my workshops each time I come, whom I look forward to seeing each time. Some of them have formed a group and continue to study with me, on the phone, in support of their learning. I find their commitment indescribably moving. They invited me for dinner, and we land in a very traditional Polish restaurant, where the motto is “quality takes time.” We eat family style, so I get to taste every single dish, and dinner takes almost four hours. After a rather challenging time in Germany, this evening feels simply perfect, just the right balance of food elevated to an art form, awareness of savoring the moment because of its intrinsic impermanence, conversation that ranges from laughter to depth of exploration, through which emerge, also, the themes of the next teleclass series we will embark on. I am embraced, love flows all around the room, engulfing even the waiter who finally relents and smiles with us. On the way from the workshop to the dinner, I walk with another Polish woman in whose house in Krakow I stayed two times ago. Suddenly I realize we are in the Jewish Ghetto, and slow down my steps. Hard to believe what Warsaw has done, or not done, with its legacy of the Ghetto. Krakow, a city which lost just about all of its Jews, made a point of reconstructing and preserving the Jewish quarters of this most exquisitely beautiful city. Once a year, they celebrate the Jewish festival. 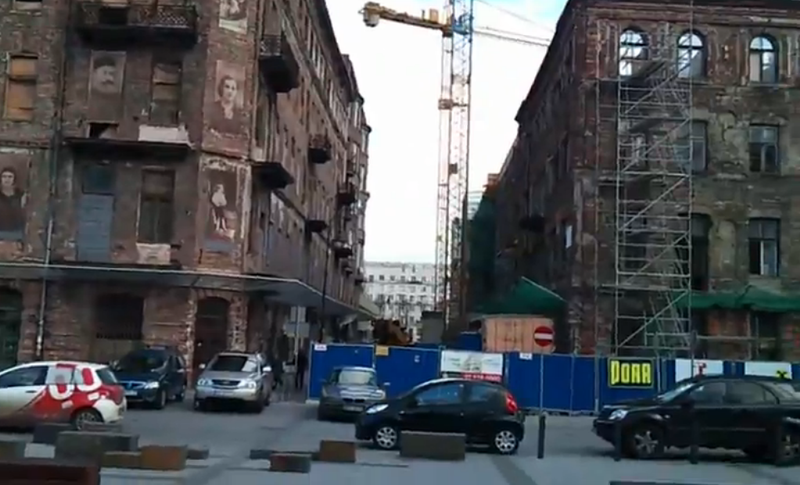 Warsaw has neglected its ghetto. Much of the ghetto was destroyed in the uprising in 1944. The remaining buildings are living ghosts. Some of them have finally been demolished, and modern buildings are interspersed among the grim remnants. I see lights, and my friend explains to me that some people still, or again, live in the buildings, now owned by the city. We walk inside a courtyard, and I try to conjure up the feeling of this being a ghetto, where life was endangered on a daily basis. It’s all in my memories. In the present, just grinding poverty, buildings dilapidated beyond words. A woman walks in, and I plead with her, through my friend’s translation, to let me walk inside her apartment, just to feel something, to stand in those rooms where unimaginable horrors, and the clandestine defiance of a people, existed up until the last days of the war. She refuses, and yet doesn’t leave for many minutes, repeating again and again her litany of complaints. No one maintains the buildings, and there’s no heat or hot water. Winter in Warsaw is no light matter. I wonder how they live, and don’t ask. I leave, the deteriorating stairs, so eerily similar to the buildings I knew as a child in Tel Aviv, and the uneven ground of the aging courtyard the sole witnesses to my having been there. I arrive in Denmark after sixteen days of non-stop work and transit, including an accident on the train, a significant and absolutely draining conflict within the training team of the major event I led in Germany, and being sick for over a week. Finally, rest, as I visit one of my dear friends I had met at an intensive training in Nonviolent Communication some sixteen years ago, when both of us were just starting to teach. For the first two days, there was no sun. We were mostly inside, eating, laughing, talking. Some friendships continue to grow even across great distances. The third day we took a short trip to a bigger city, where, finally, a gray sun emerged from the clouds to greet us. While my friend was at an appointment, I walked the streets of what I know is the second largest city in Denmark, boasting a population of 250,000. Parking is free, almost everywhere, for the first two hours. Denmark, one of Europe’s longest standing social democracies, doesn’t have a communist past to reject, unlike Poland, where, despite a general lower standard of living evident than in Denmark, I sense a drive towards consumption and hyper-individualism that saddens me. In the defeat of communism, no one seems able to recognize that certain things worked. Cars here are dramatically smaller than in the USA. As I walk the streets, I look at the car models, an unusual activity for me. Every known manufacturer seems to be producing smaller and smaller models. I am shocked to see two tiny-looking Chevrolet cars, models I know don’t exist in the USA. Later, I ask my friend, and reconfirm that the gas efficiency of the small cars in Europe is superior to hybrids in the USA. Why don’t we have access to these cars? Is this supply and demand, or is it that the market in the USA is controlled? The next day I encounter a young man who was born in South Korea and adopted into a Danish family as an infant. He’s never once wanted to go to Korea, to learn about his culture of origin. To him, he is Danish, he belongs. The only time he knows he is Korean, he tells me, is when he looks in the mirror. However opposite these two experiences are, they point to the same phenomenon. 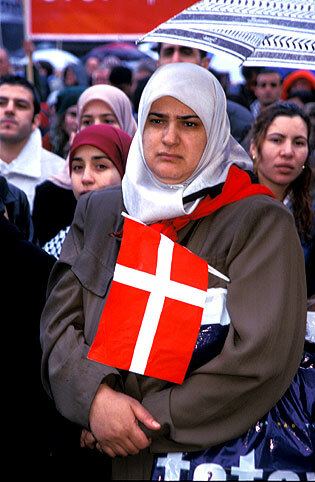 Denmark continues to be identified mono-culturally even as waves of Muslim immigrants continue to arrive on its shores. On my way home, my itinerary takes me through Frankfurt, one last bit of Germany before embarking on the long flight to San Francisco. A woman checks me in and asks me the standard questions. Once again, I sense that she is not local. It turns out she is from Iraq. I tell her I am from Israel, and am greeted by a broad smile. Neither of us wanted to stay where war persists. Our countries are at war with each other, and we stand at an airport, making human contact. It’s all in the heart, she concludes, as she stamps my papers and sends me off. This entry was posted in Uncategorized and tagged holocaust, racial inequality, requests on October 25 / 2012 by Miki. i am deeply touched by your writing since, among other things, it gives words to a feeling i sensed very present in me when we met during the "the power of choice" workshop in munich but which i couldn't explain to myself – and therefore not to you either.